Oh, how I love maps! The problem is that a great map takes up a huge amount of space on a wall, so you can be a bit limited with your geographical options. Here are some maps that do double duty! Although not specifically designed for children’s rooms, I’m yet to meet a child who isn’t interested in maps. 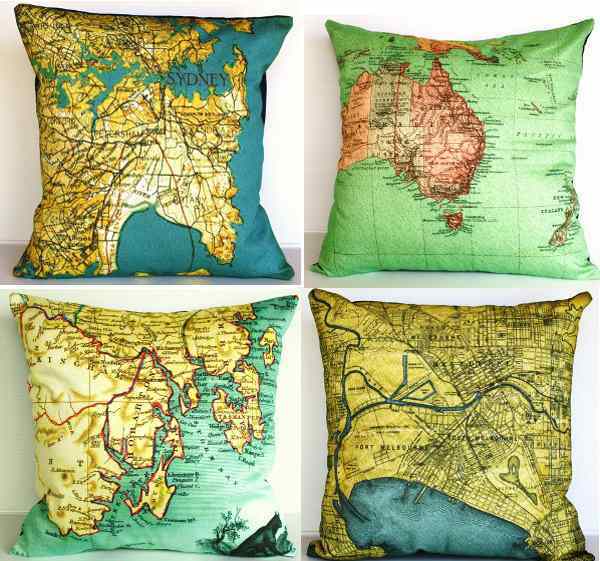 Vintage in style, these stunning cushion covers are from Australian Etsy seller My Bearded Pigeon who has all the fabric she uses printed especially for her. She’s willing to discuss custom options if there’s something you’d like to see on a pillow that she doesn’t have in stock. But you’d be pretty hard pressed – she has a staggering range of maps from all over the world, and pleasingly, most large Australian cities too. Cushion covers are certified organic and come with separate zippered inserts to make washing a breeze. 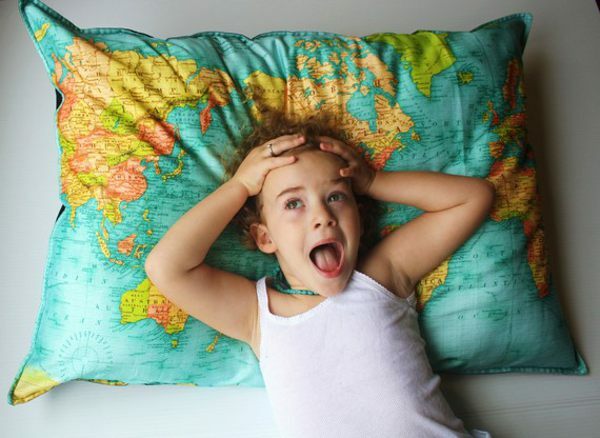 The giant world map pillow shown above costs $125, but most pillows are a standard square size and cost $55. Here in Australia, postage is a steal from only $2.50. Navigate your way to a great night’s sleep!